A team of researchers has now identified an eco-friendly alternative to existing methods. The study has been reported in ACS Sustainable Chemistry & Engineering. 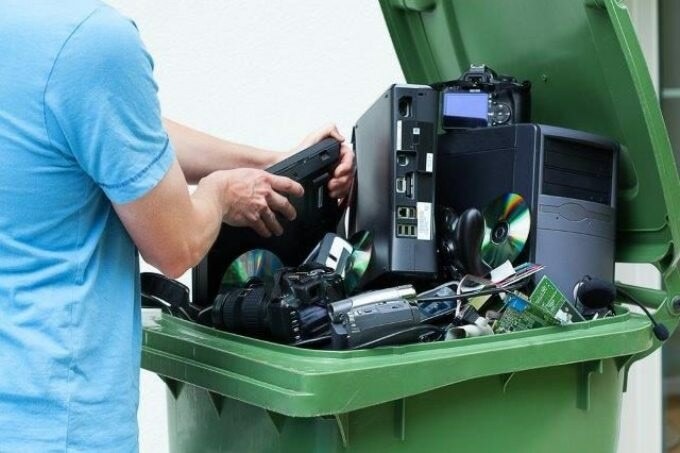 According to the U.S. Environmental Protection Agency, U.S. consumers discarded about 2.37 million tons of e-waste in 2009 alone. This type of waste is a broad category that contains everything from televisions and refrigerators to phones and video game consoles. However, these devices contain polycarbonates and other valuable plastics. Scientists have explored a variety of extraction methods in an effort to cut down the amount of e-waste that is accumulating in landfills and retrieve the valuable polymers. While chlorinated substances, such as dichloromethane (DCM), are used in present approaches, these products are costly, toxic, and volatile. Brajendra K. Sharma, Sriraam R. Chandrasekaran, and coworkers wanted to study N-methyl-2-pyrrolidone (NMP) – an alternative solvent that would not harm the user and the environment. A mixture of polyamide and polycarbonate is usually present in cell phone plastics. In large-scale experiments, the team discovered that both DCM and NMP effectively recovered 87% and 89% of the polycarbonate from cell phone plastic, respectively. More importantly, the NMP could be used at least one more time without compromising on efficiency. However, certain e-waste containing more complex mixtures would need multiple solvents and plenty of energy to recycle. In such a case, the researchers propose a better alternative – i.e. pyrolysis or heating the material to extreme temperatures. They demonstrated how pyrolysis effectively reduced a mixture of four e-waste plastics by approximately 40%. The authors acknowledge funding from HOBI International, Inc. and the Hazardous Waste Research Funds of Illinois Sustainable Technology Center.